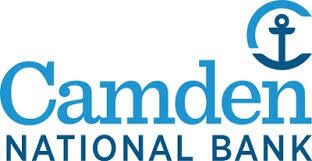 We are Castine’s local branch of Bangor Savings Bank. WPI provides a comprehensive range of consulting solutions for various companies, nationally and internationally. We consist of leaders and business experts who are committed to providing quality behavioral science leadership development, professional coaching, strategic planning, conflict resolution services, and performance development solutions. Marketing that Matters is a one-stop-shop marketing agency focused on helping businesses, organizations and nonprofits find solutions, generate revenue, tell stories, inspire engagement, mobilize movements, educate clients, and bring creative ideas to life. We provide fully integrated communications and marketing solutions that support your ability to achieve both purpose and profit. Our range of services includes: marketing and communications planning, branding, advertising campaigns, media buying, event planning and execution, public relations, social media marketing, a full range of creative services, and more. Ask us for a free consultation. The BHCC has meeting and lodging facilities for small, intimate groups or large-scale corporate trainings during the summer months. GSA facilities accommodate up to 50 guests for brief retreats or extended stays. In addition to offering an ideal setting, the Center’s support team is available to assist your organization in planning and facilitating your event and programs. The Center for Business and Industry offers customized trainings for your business. Our vast community college resources, competitive pricing, and innovative training methods set us apart as a prime workforce development tool for businesses. We also offer a host of credit and noncredit continuing education courses and professional certifications. Please contact us for a free consultation to see what we can do for your business. The Center for Business and Industry can provide access to community college conference facilities, labs and equipment. We can also help with access to funding resources from the Maine Quality Centers program. Skilled Nursing & Rehabilitation, Long-term Care & Assisted Living in the newest, state-of-the-art facility in Maine. Keeping Your Home Safe and Sound Year Round!! Caretaking, property monitoring, property maintenance, snow plowing. We keep an eye on your home or business while you’re away. Custom commercial and residential sign work and boat lettering. The Union River Center for Innovation is a community-driven business incubator and co-working space supporting startups and entrepreneurs for rapid growth and sustained success. Services include; Business incubator Program, Business coaching Services, and co-working space. The mind has the opportunity to pause while the body has the opportunity to play as the the client is floated above and below the surface of the water. 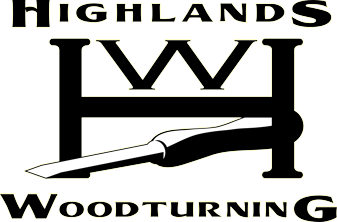 As a member of the “working retired” professionals, I run a woodturning and engraving shop that offers classes in classical woodturning in my shop for school children over 9 and adults; seasonal “Living History” demonstrations of woodturning at the Wilson Museum; custom woodturning for restoration projects, cabinetmakers, and builders; a small gallery of woodturned art and treen attached to my shop, “shop time” access to the equipment for qualified woodturning students, and custom woodturning and laser engraving services to the public. Distributing non potable water for swimming pools, reservoirs, gardening, dry wells (enough to get by), and the like. This is not drinking water. Available May through October. Group classes and private training for dogs of all ages, breeds, and abilities (and their humans!) We help dogs with a range of behavioral problems from puppy socialization to basic manners to reactivity and aggression. Blue Hill Cabinet is a four man shop owned by craftsmen Chris Gray and Rick Sawyer and specializes in the design and construction of custom furniture and cabinetry. Client inspiration, creative design, attention to detail, and quality of construction drive our work from original concept to finished piece. They are experienced in creating cabinetry and furniture in a variety of styles ranging from Queen Anne to Contemporary, beautiful pieces to be passed down for generations. While they offer professional custom design, they also construct cabinetry from drawing sets provided by architects or others. Dog day camp & overnight boarding in a free range environment, dogs must be up to date on all vaccines and like to be around other friendly dogs. General dental practice with office locations in Ellsworth and Bucksport. Local Insurance agent providing personal and business insurance. M.E. Astbury & Son, Inc.
We are a third generation family-owned business specializing in residential and commercial construction, we have served our customers for over 50 years. Accounting firm providing professional and personalized tax, audit and bookkeeping services. Chiropractic practice with specialty certifications in Neurology, Pediatrics, Functional Medicine and Rehabilitation. Wellness Chiropractic is a team of lifelong learners dedicated to improving lives through the delivery of spinal care; nutritional, metabolic and lifestyle counseling, and state of the art rehabilitation services. Discover an oasis of fine food and lodging in a storied village by the sea. 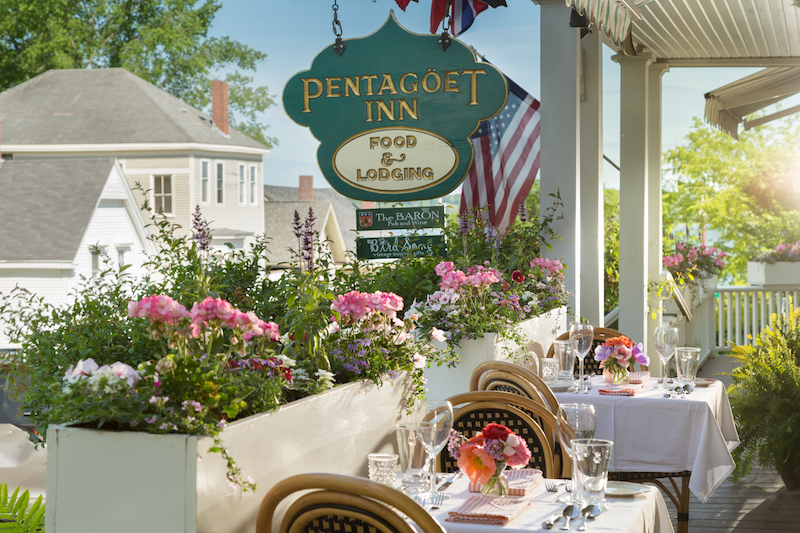 The award winning Pentagoet Inn & Restaurant is a charming Queen Anne Victorian hotel offering gracious hospitality, elegant accommodations, and fine dining. Blue Hill Inn offers accommodations year round. 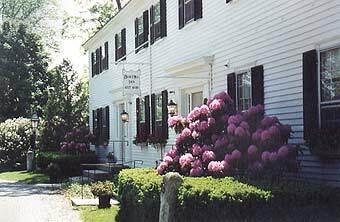 Located in the heart of the Blue Hill Historic District, the inn is an ideal stop on your coastal Maine vacation. Walk to the many unique shops, galleries and an assortment of dining options. The inn offers eleven elegantly appointed guest rooms with period furniture and antiques and two slightly more modern suites in our Cape House next door. All of our rooms have their own private bath and your stay during the summer season includes a delicious three-course breakfast in our bright and cheerful dining room. In addition, complimentary hors d’oeuvres are served each evening in our fireside parlor or in the apple orchard and gardens from 6-7 p.m. with wines, beers and cocktails available. At THE ACTIVITY SHOP we rent kayaks, canoes and paddle boards on a daily or weekly basis. We have both single and tandem kayaks and WE DELIVER (in most cases) . . . AT NO CHARGE!!! All rentals include paddles and life jackets. Our fleet of over 100 kayaks, canoes and SUP’s are manufactured by Old Town Canoe Co., Current Designs and BIC. They are maintained to the highest standards for a fun, memorable, and safe vacation adventure. A seasonal historic inn and cottages in Deer Isle Village, each room has a water view of the Northwest Harbor or Mill Pond. We offer park-like grounds, comfortable guest rooms with private baths, a library and game room and common rooms to relax. This is a place that you spend time in nature, recharge, and get away from it all. A full breakfast is included in room rate. Enjoy a drink in the bar, or outside on the deck – we have a full bar, diverse wine list, and feature Maine beers on tap. We offer small plate dinner options for our inn guests 5 nights a week. Check our website for more info. Pilgrim’s Inn is open mid-May to mid-October. Cottages are open /earlier/later at a discounted rate excluding breakfast. Parker Ridge Retirement Community was created to meet your needs and offer you options as those needs change. At the center of our community is Parker Inn, which offers both independent living apartments and assisted living suites, as well as many amenities that serve our entire community. We also offer spacious, luxurious retirement cottages for those who desire to own their home, without all the hassles of home maintenance. Our Residents LOVE Living Here. . . We’re confident YOU will too. Michael W. Snow Electrician, Inc.
Jones, Kuriloff & Sargent, LLC is a law firm specializing in all things related to estate planning, including drafting trusts and wills, powers of attorney, elder law, probate, trustee services, real estate transactions, and other related matters. Hair salon specializing in cut and color and facial waxing. Field-grown cut flowers for weddings, parties and events or just a bouquet for your dining-room table! Consulting and delivery services available. A full service design/build landscape construction and maintenance company. Specializing in old fashioned dry laid fieldstone walls. All types of stone and brick patios. Designing and installing unique plantings hardy to the coast of Maine. Customized maintenance services. At Beehive Development, we know a thing or two about marketing. We are a Maine-based company with a portfolio that spans both coasts. Let’s tell your story through email marketing, social media, web, and other delights.